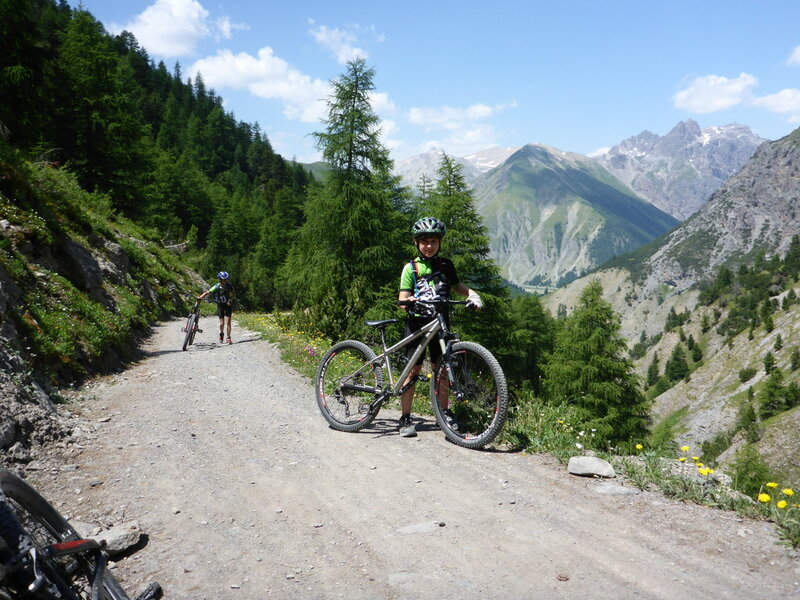 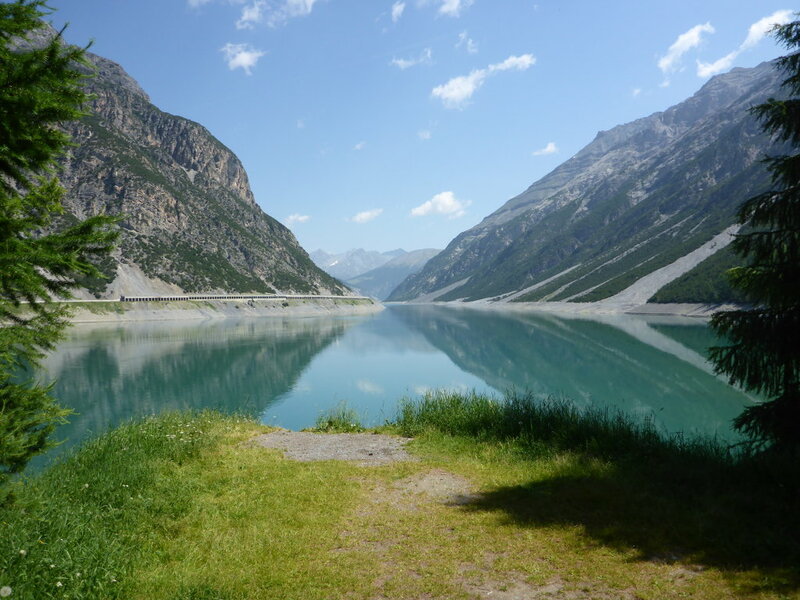 We are just back from a week in Livigno, where we made some great rides. 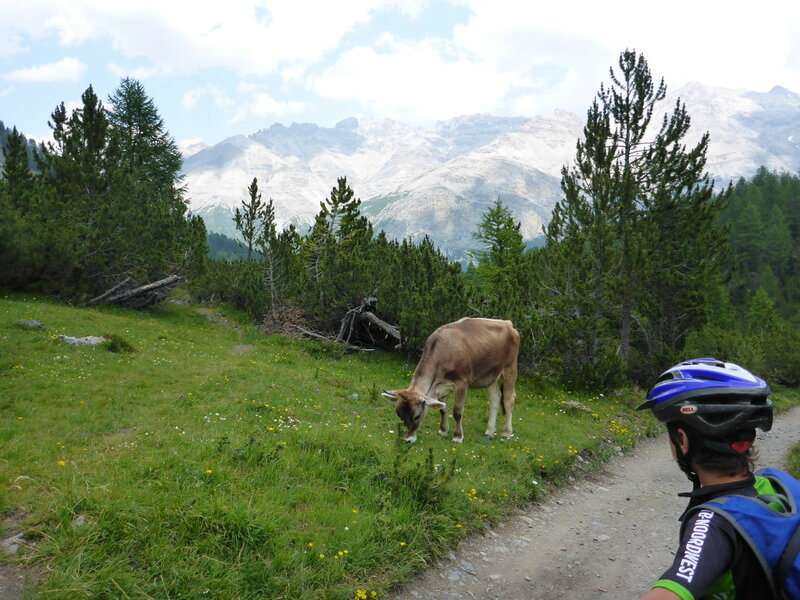 This story is from the longest ride, 42 km and ascending 1550 in total. 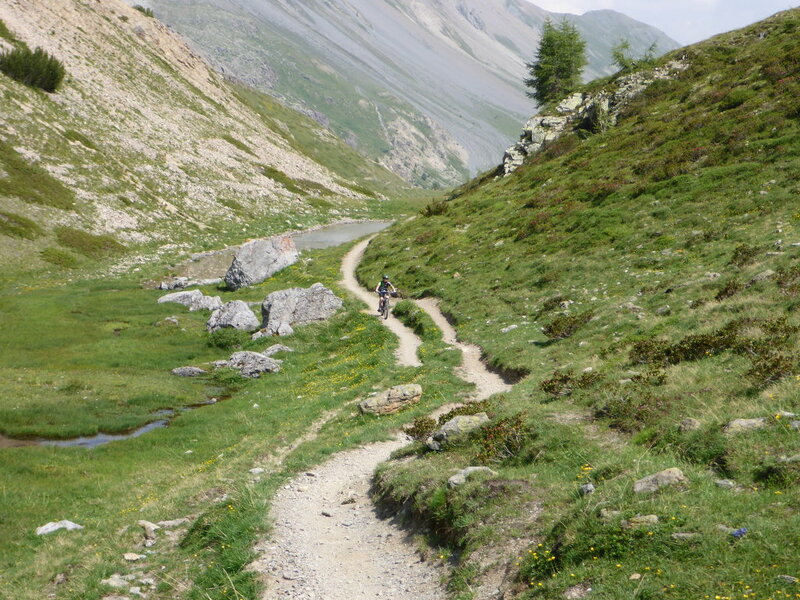 After speaking to the local guide of Hotel Astoria, studying the map "Singletrail Map - Livigno/Bormio-" and GPS-track 12 from Livigno (Passo di Val Trela) bike-gps.com, I had a good idea about the route we were going to ride and some possible adaptations to check out new trails instead of parts we had already done on earlier rides. 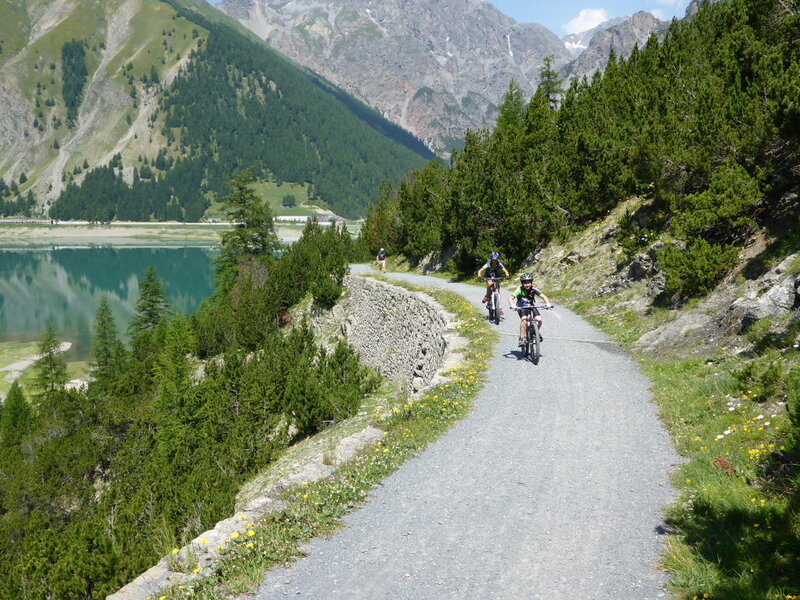 We started the ride at Lago di Livigno at about 11 o'clock in the morning. 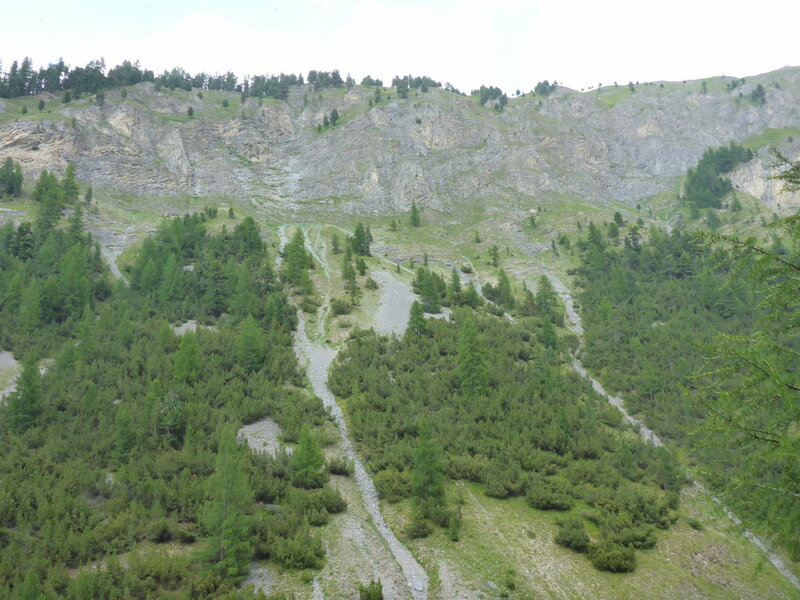 Mind you, we were only halfway the climb here so we still had some track to cover. 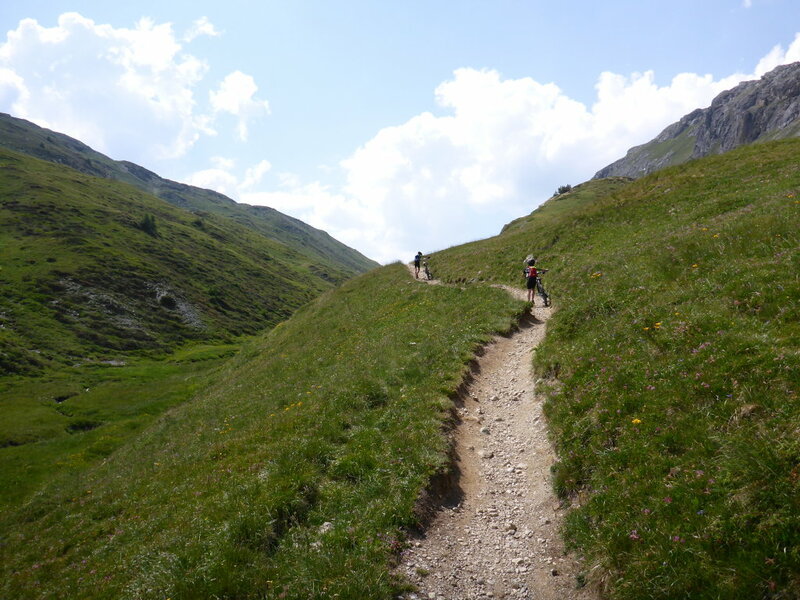 The guide had advised me to ride the trail in this direction, which had us climbing in the shades for large parts and with a temperature of 25 degrees C this was very welcome. 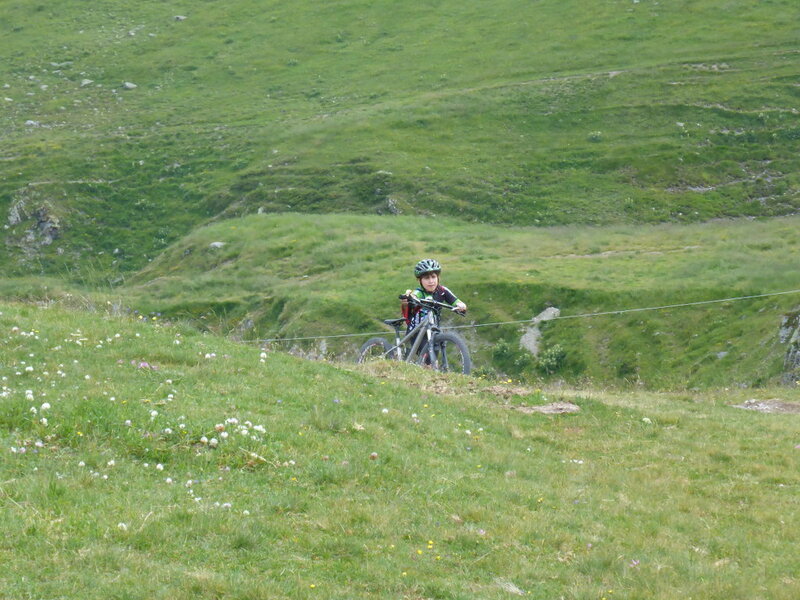 On top at Alpe trela we saw a small farm with a terrace. 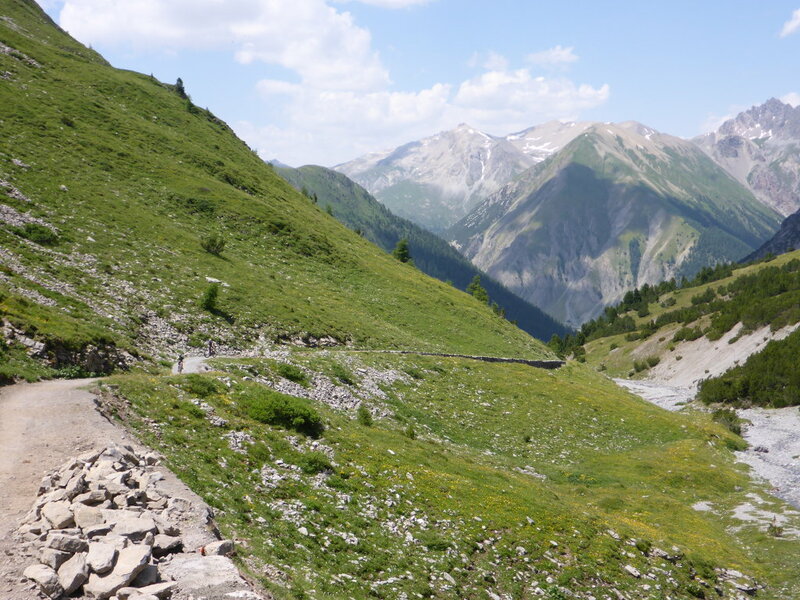 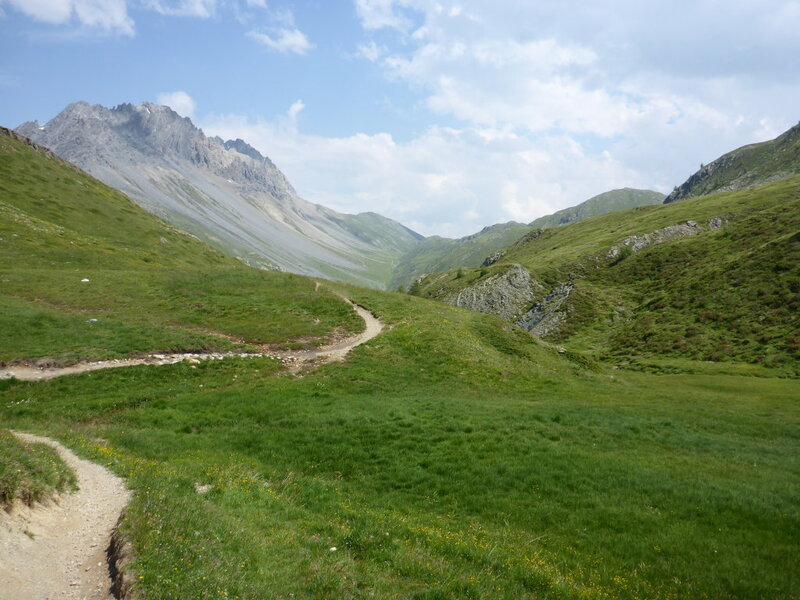 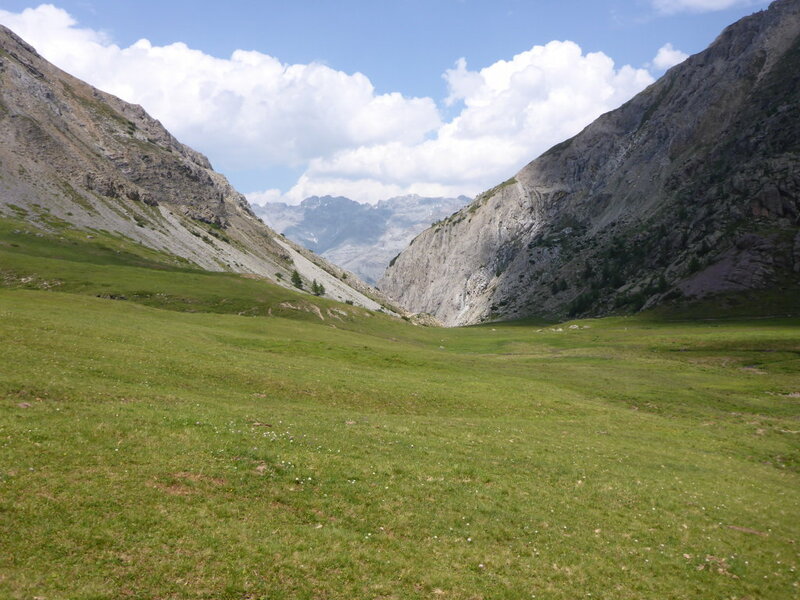 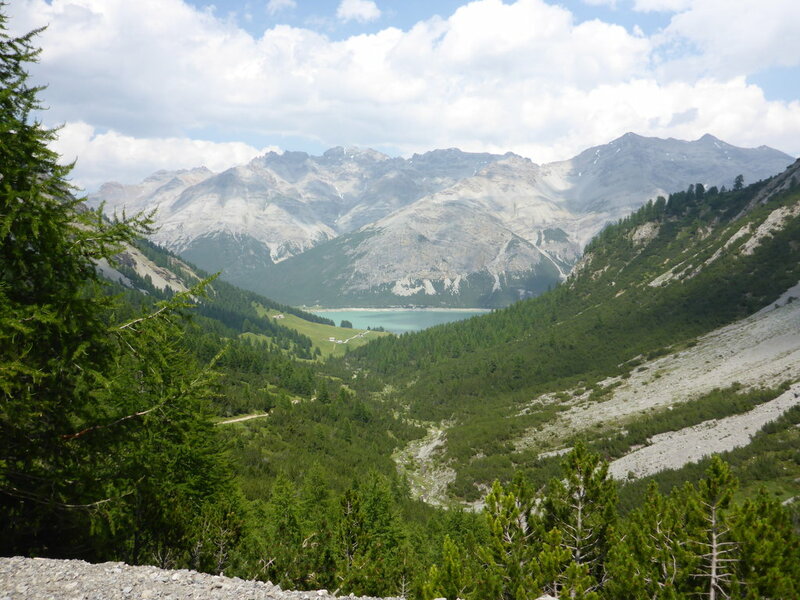 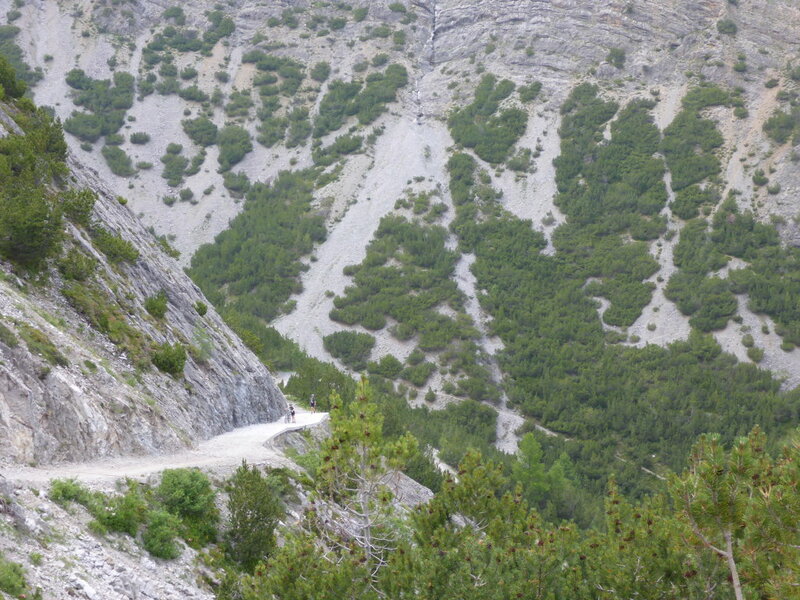 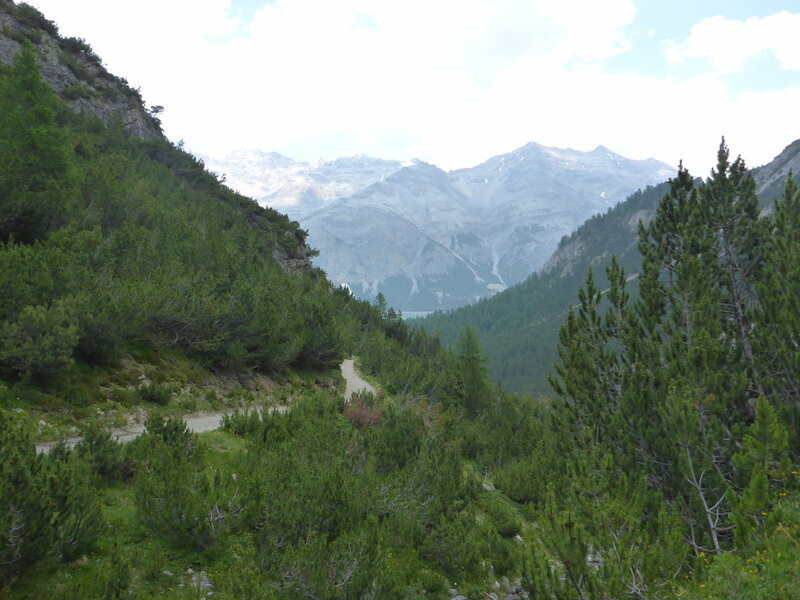 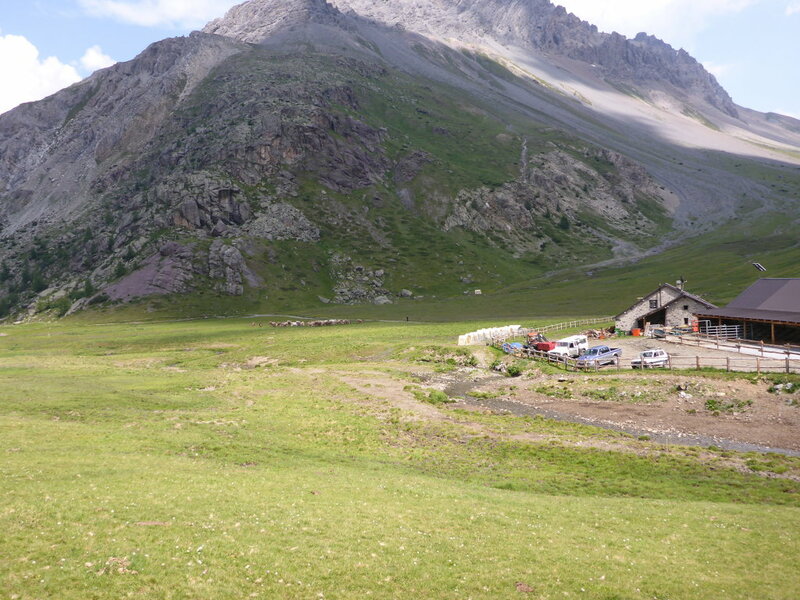 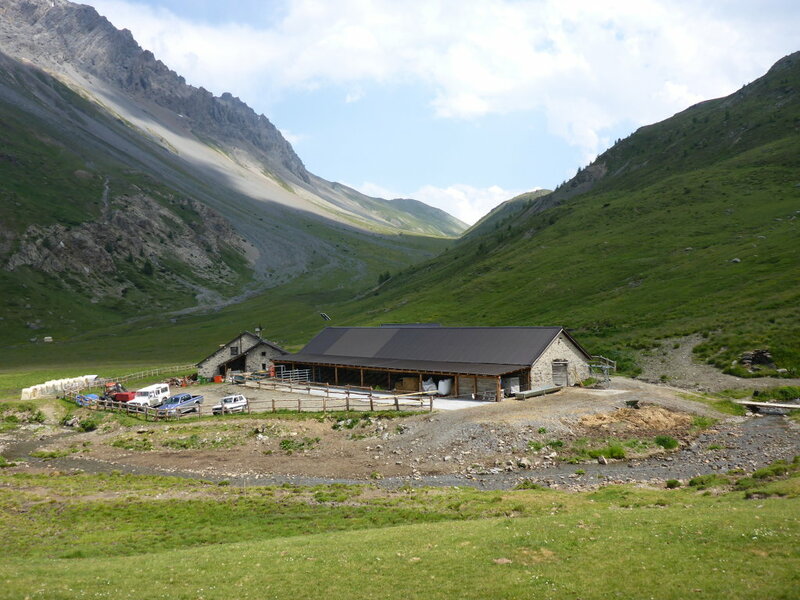 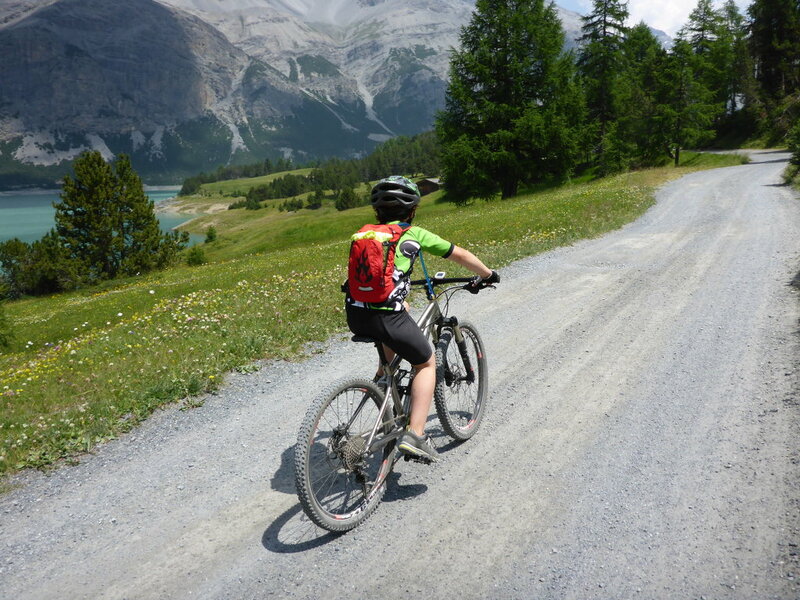 On the Paso di Val Trela we heard and saw those large mountain marmots, Thomas almost rode over one that sneaked back in his hole just before he hit it. 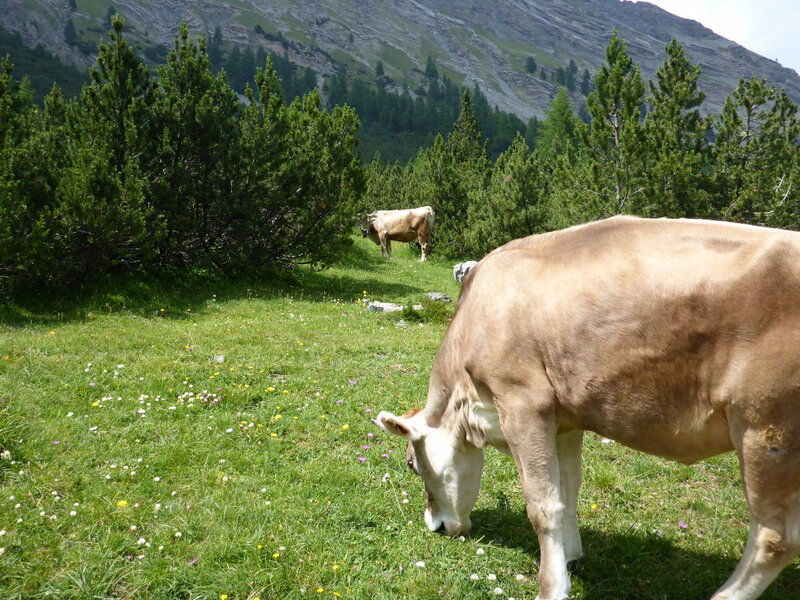 Later the guide told us these beasts don't see too well and are not too smart so you have to take care not to hit them. 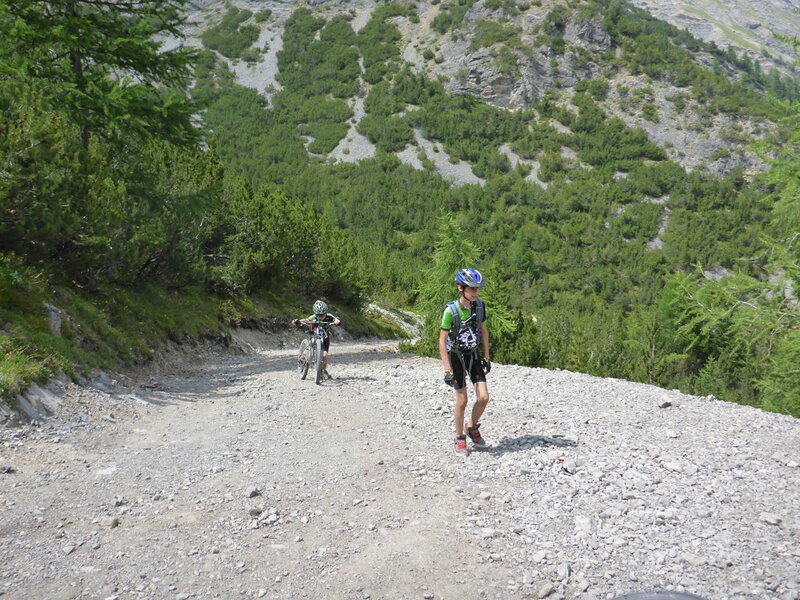 When we finally reached the highest point (where I couldn't find a sign by the way) I turned on the helmet cam for the descend of about half an hour. 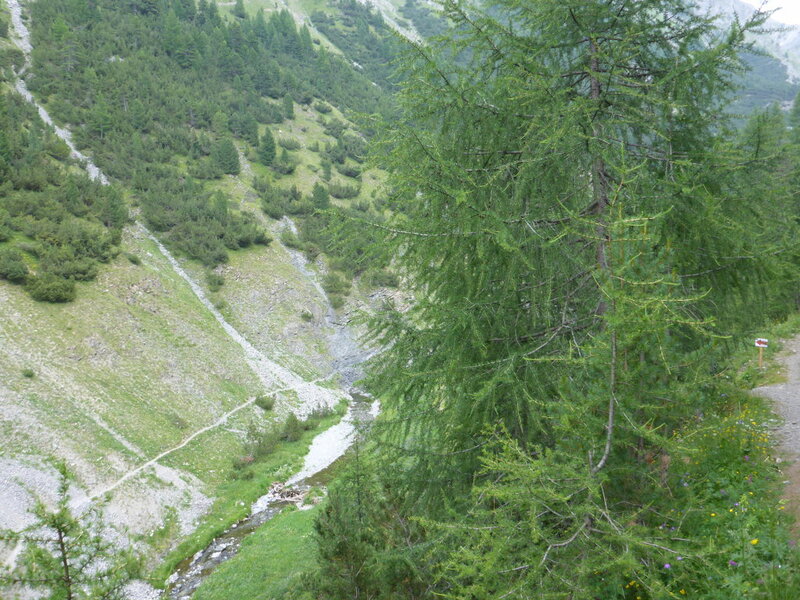 Near the bottom, Mathis went over the edge and slid down about six feet. 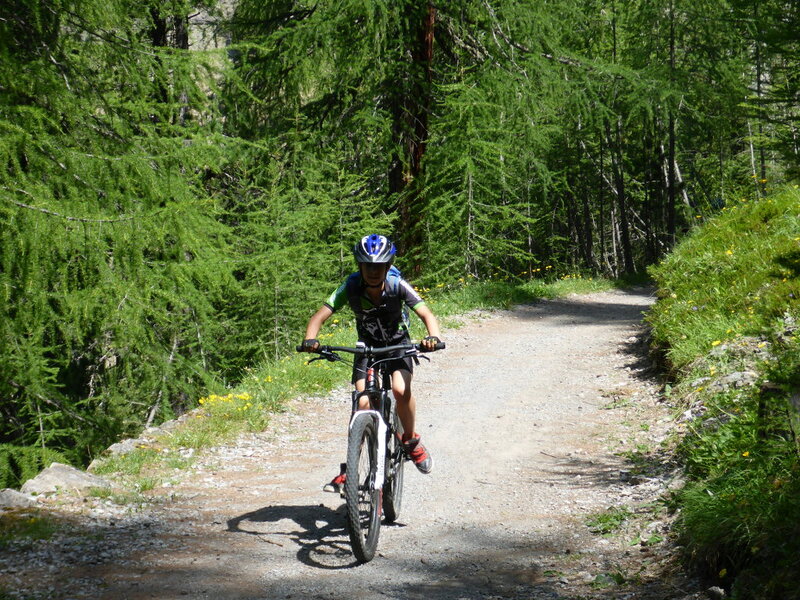 He could barely hold on to a few plants, his bike went down 8 meters (about 25 feet). 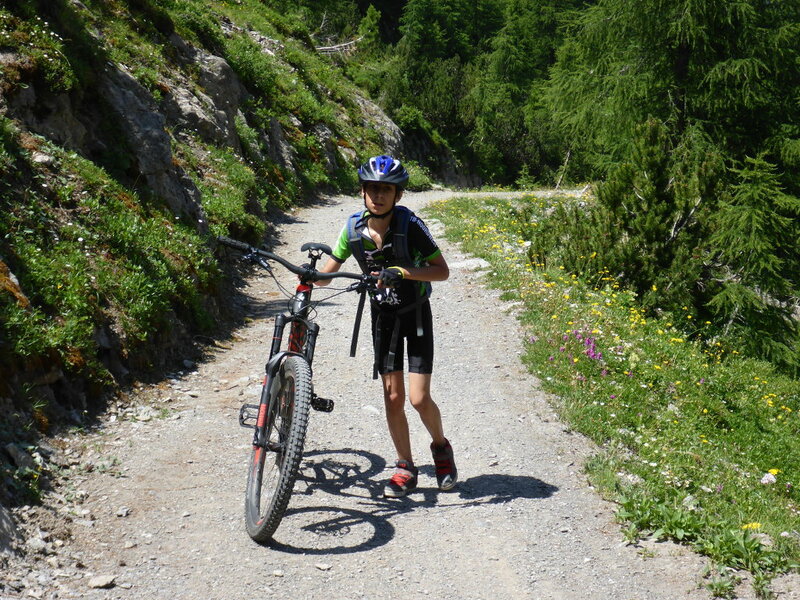 When I got him back on the trail and he recovered from the scary moment, he turned out to have just a little scratch which I cleaned up with the first aid kit I brought along. 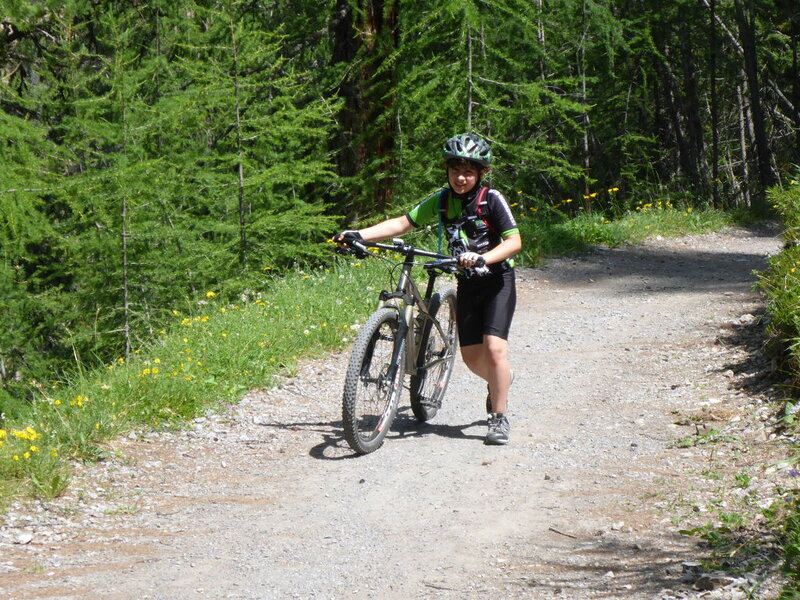 The bike escaped miraculously and only had a little bent pedal cage and the bars had to be straightened but otherwise it suffered no damage at all! 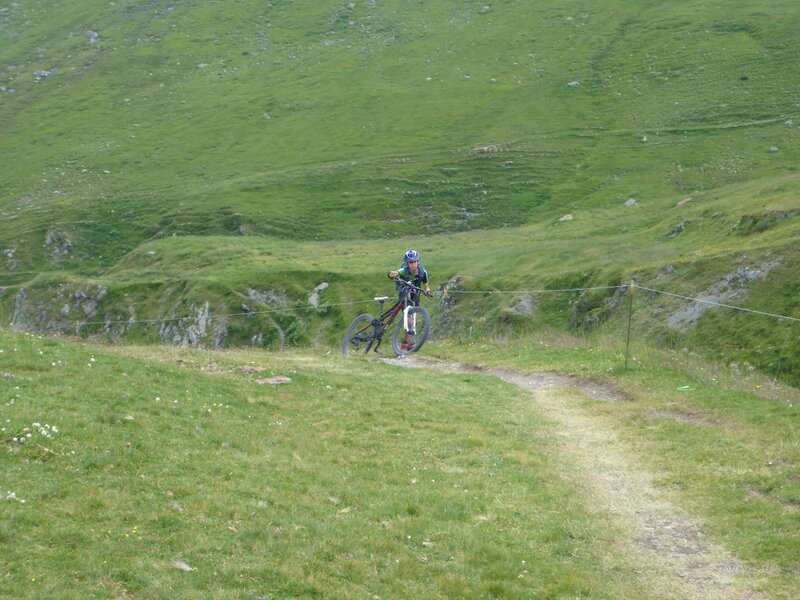 From there on, we had to manage a small climb to finally reach a nice descent to Lago di Livigno. 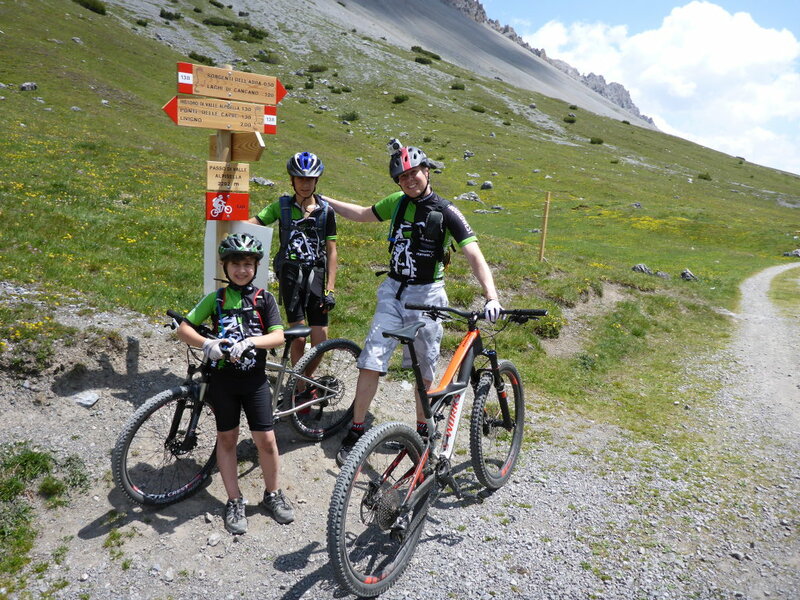 Mathis' biking pants were torn so we both went to Livigno to get him a new pair at I'M Sport where we were assisted by a few lovely ladies who were very kind to Mathis after they found out the story of his fall. 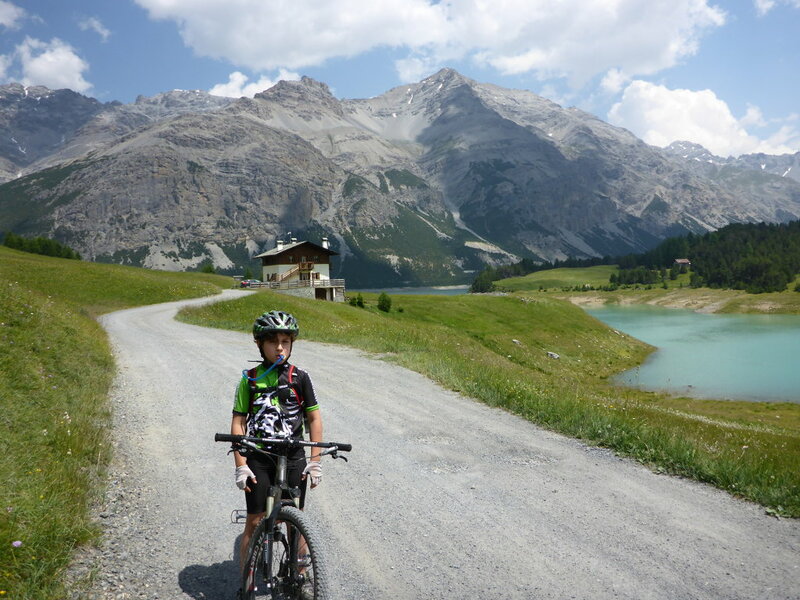 Thomas went back to the hotel to inform the others we were on our way back and to reassure them, since the entire trip had taken more time than expected. 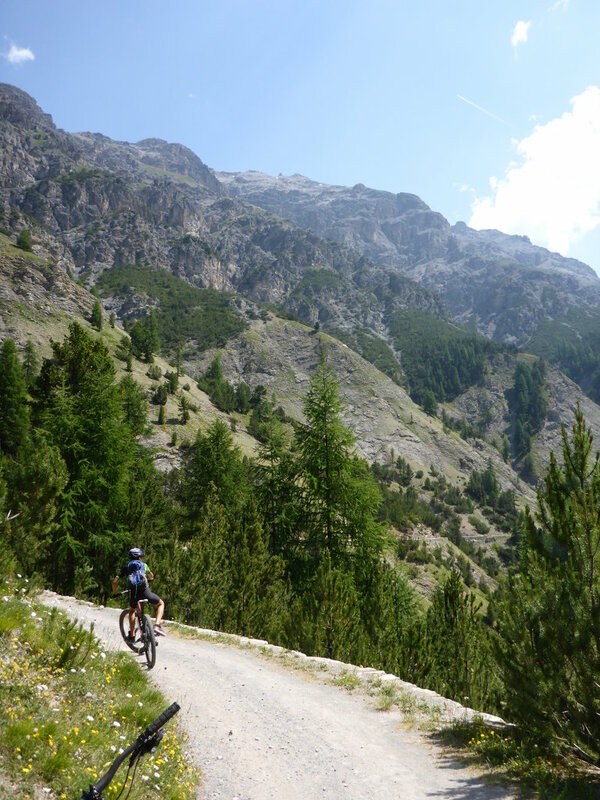 In the end, we got back at the hotel at about six o'clock and Strava noted an effective riding time of 4 hours and 40 minutes. 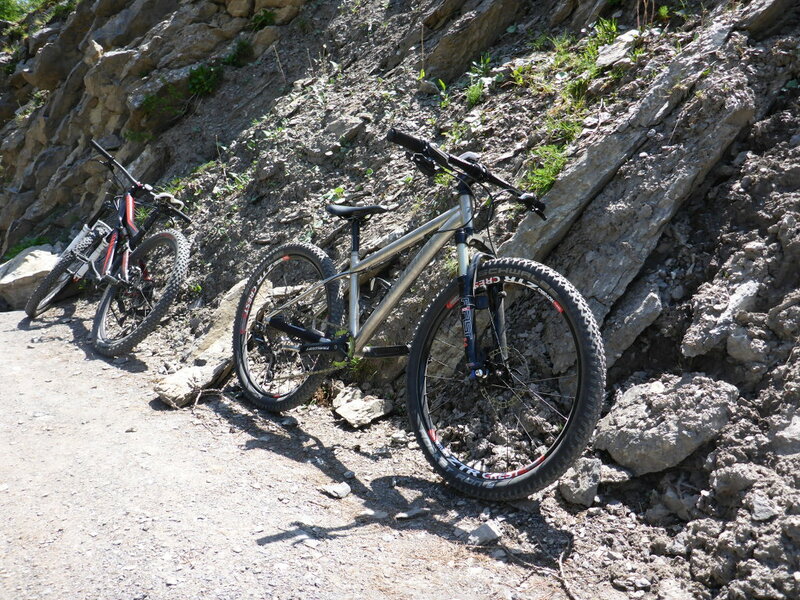 This was by far the toughest ride we had done together and considering the experiences, it was a ride we will never forget! 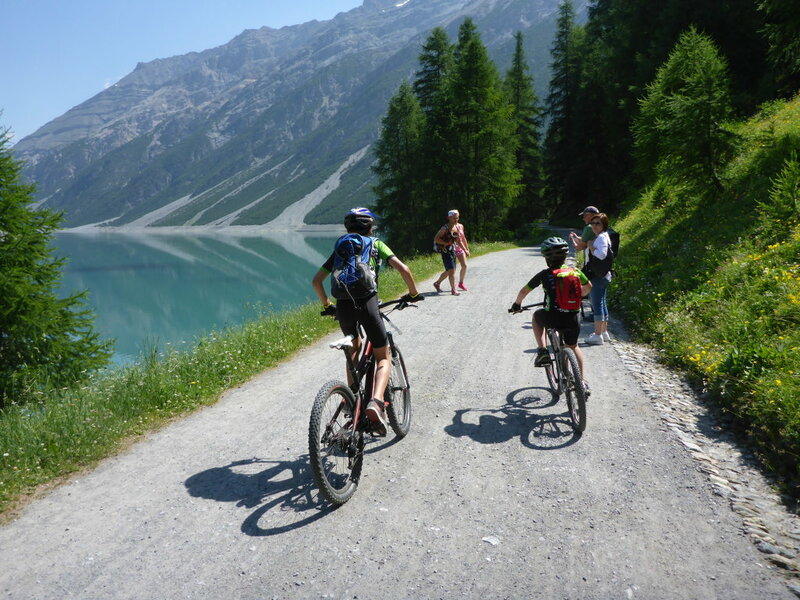 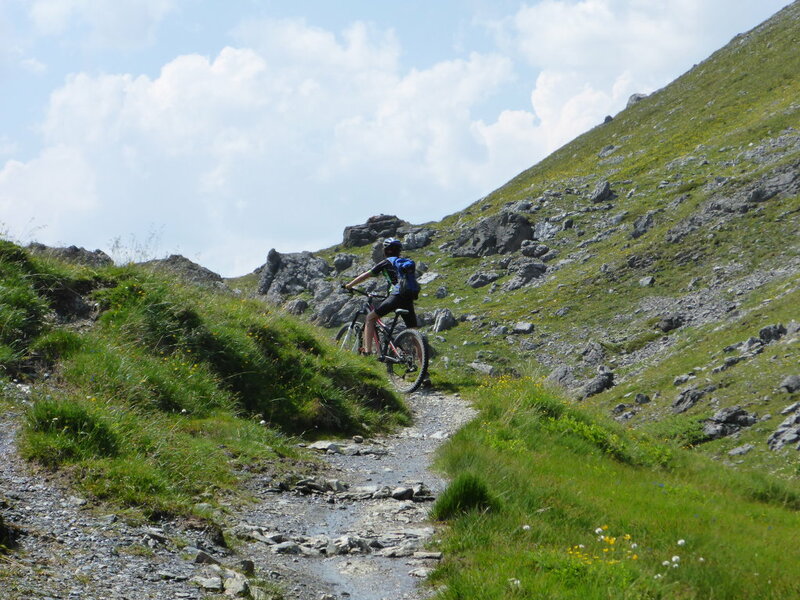 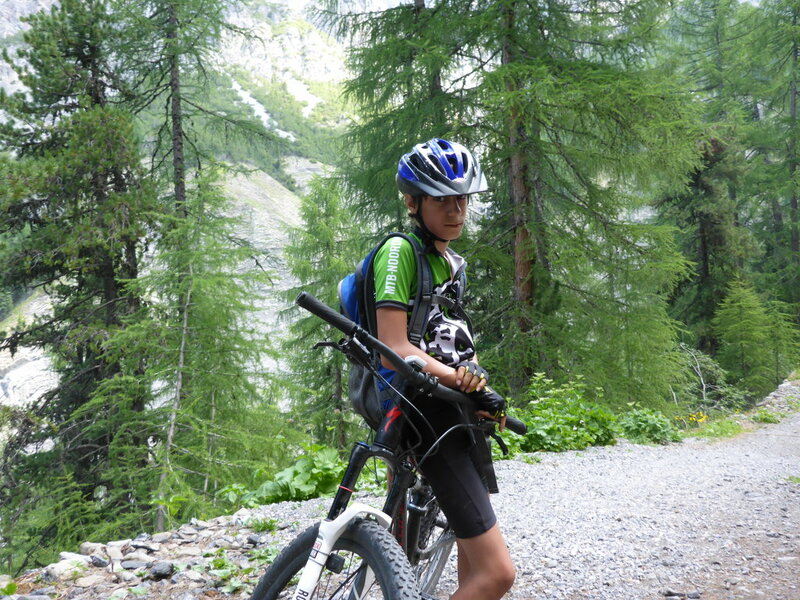 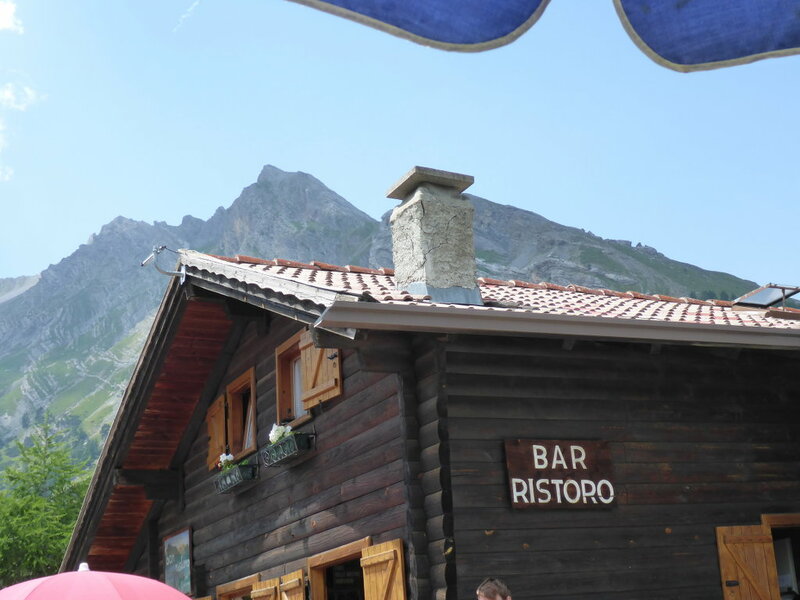 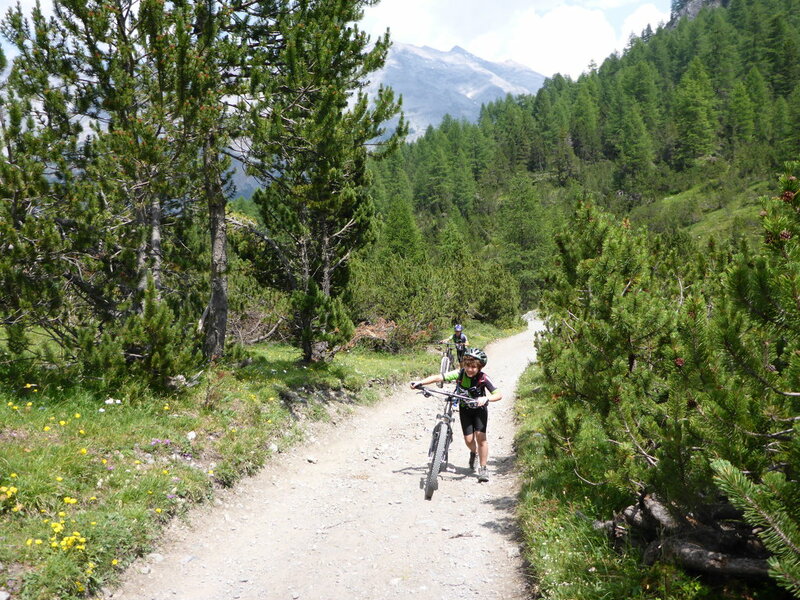 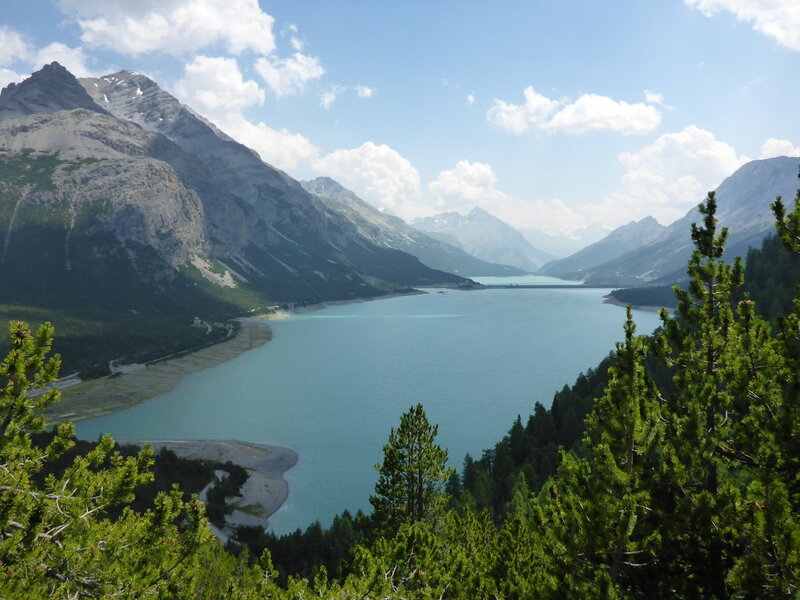 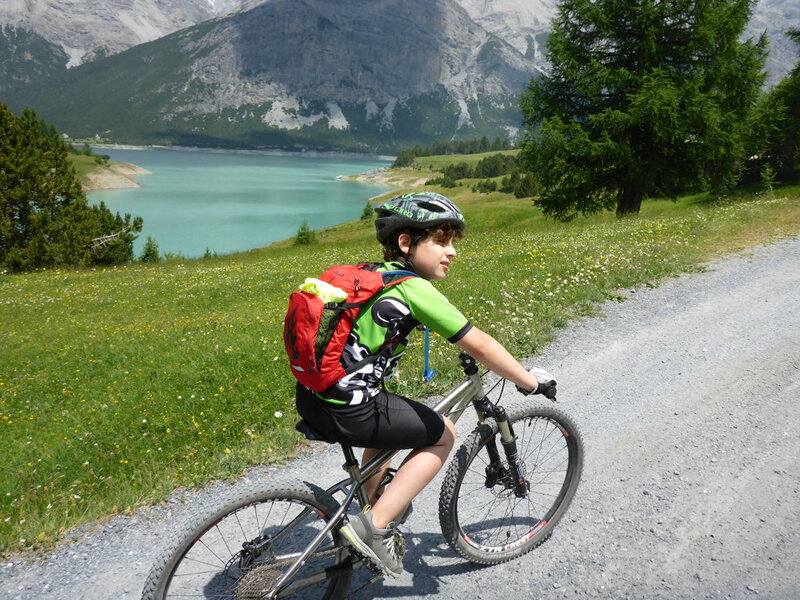 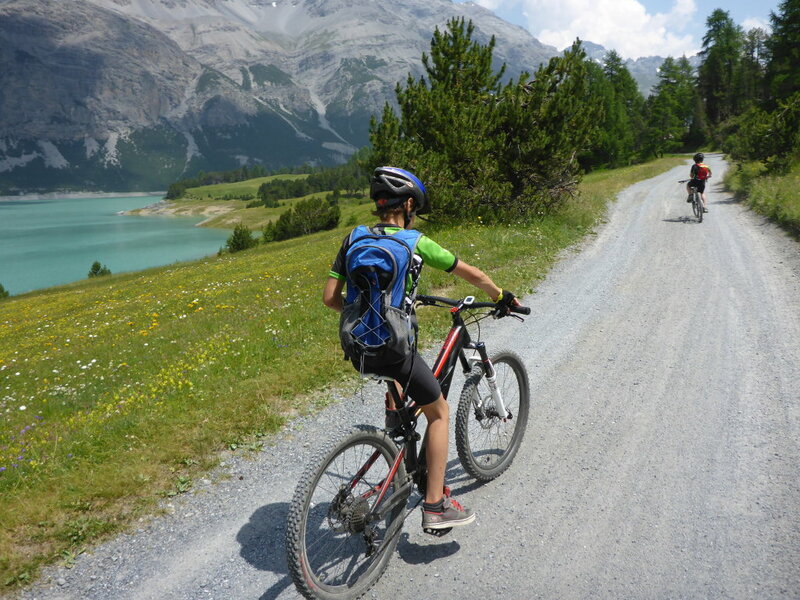 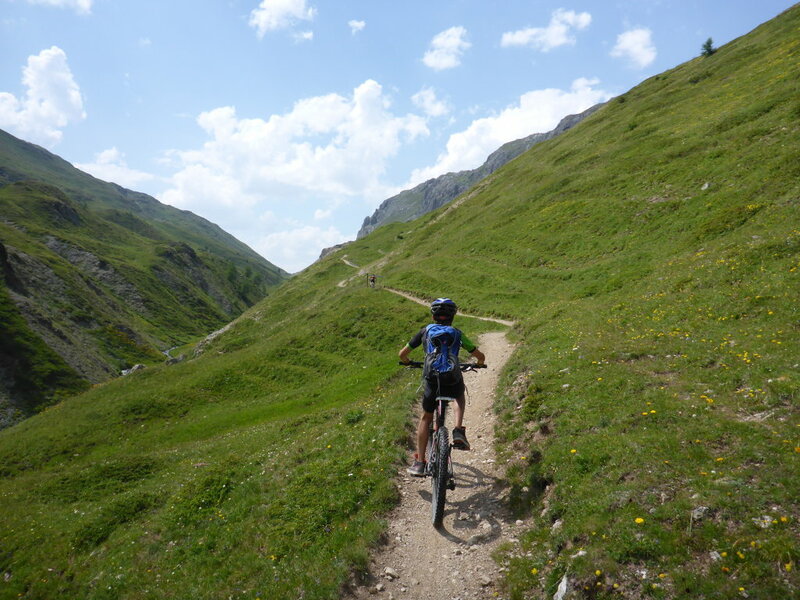 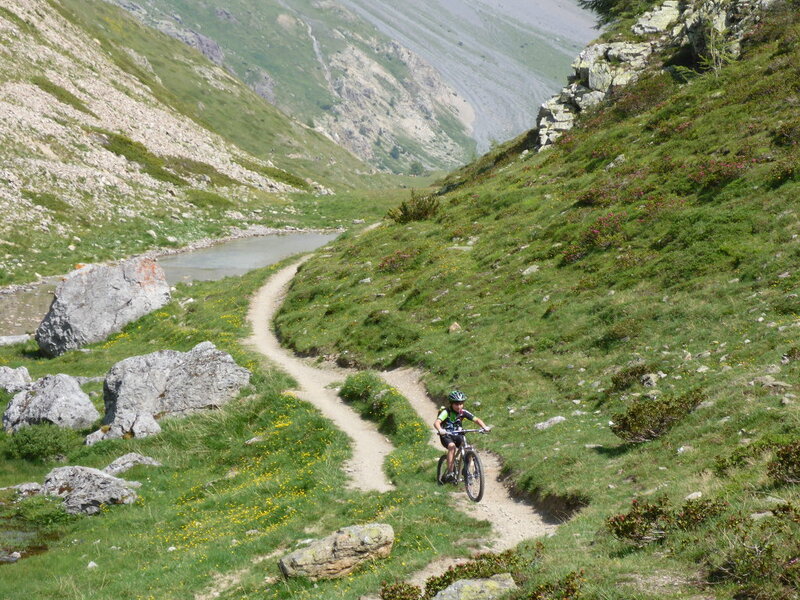 We hope you liked this story and the pictures and we heartly recommend Livogno and Hotel Astoria for a biking holiday!